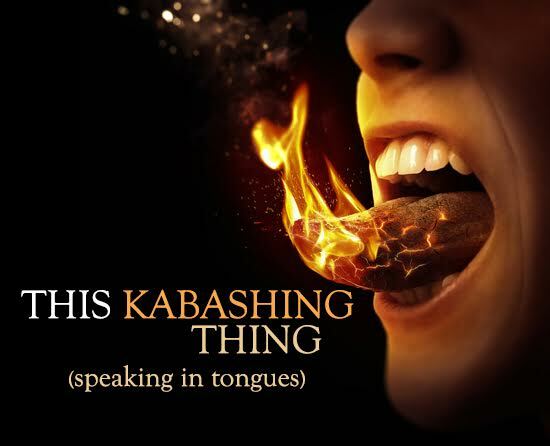 When I was younger I always thought speaking in tongues was for the extra spiritual people who were extra close to God, like pastors or my parents lol. I thought it was something that was reserved for only adults, and this train of thought followed me into my adolescent and teenage years, whenever I saw someone close to my age speaking in tongues, I always felt wow this person must be a very ghen ghen Christian o, well I was not a ghen ghen Christian so I never thought much of it. When I was a teenager I went for several programs were they would minister the baptism of the holy ghost to people, and I always wondered why I wasn’t falling under the anointing, and speaking in tongues like all these people, I always told myself that well I am not kukuma born again, so there is no way I can get it. Later on I became born again, and I felt I was finally qualified for it, I knew it was something important I needed for growth as a Christian, but I still saw it as something really big that I could only get by laying of hands, by a powerful man of God, I fasted and prayed and begged God for it but err nothing happened, I recall going for one of such meetings and the pastor wanted to call people out to lay hands on them for the baptising of the holy ghost, I eagerly raised my hand up, the pastor saw me, looked at me, like we made eye contact, and he looked away and called some other person, I was like WHARRAHECK mehn, why didn’t he call me, that day after all the prayers and laying of hands, yours truly did not speak in tongues I was soo disappointed, I remember my mum even noticed my disappointment, and comforted me. After this experience, I just continued living my Christian life with the hope that one day when God felt it was my turn, it would happen. Fast forward to June 2014, there was a small prayer meeting by some guys on campus and there was going to be prayers for those who wanted to be baptised in the holy spirit, my friend Mo invited me for it, and I told her I wasn’t too sure, because I was scared that just like the other meetings I had gone to nothing would happen, and I wasn’t ready to be served with another bowl of disappointment, she just laughed at me and told me to come joo , babe was already praying in tongues so I was like ehhn no wonder you can laugh about it. At the meeting the concept of praying in tongues was explained in a totally different light, than I had ever heard ,we were told that there was no need for rain to fall or for weather to change, or tongues of fire, to drop, and you did not have to be extra spiritual, I was told to think of it as being born again 2.0 nothing extra special happened when I became born again, I just received Jesus into my life by faith and became born again, and I was told that it was literally that simple. AS MANY AS GOD SHALL CALL UNTO HIMSELF, Again I was thinking well the fact that I am born again means that I am called of God, so this gift is for me it was as if scales fell off my eyes. And to speak in faith…that was the part I wasn’t too sure of…like what should I speak, what do I know I am saying, then I remembered Acts 2 verse 4 which says they began to speak,as the spirit gave them utterance, hmm so it is the Holyspirit that gives what to say and enable them say it, although he is not the one that would say it for me, I just speak by his enabling, woow I was super psyched. I recall the knowledge of this just began to get me excited in my spirit, I had always imagined that someone had to lay hands on me, then I would fall on the floor, and maybe a voice would begin to speak in tongues for me or something, or that I had to be extra holy and righteous, or that the weather had to change or some other ridiculous stuff. I realised that as a Child of God I had the holy spirit, already living inside of me, and I already had the gift, it was just left for me to receive it by faith and speak by faith, I know this sounds too simple, but it really is that simple, Jesus said it himself that his yoke is light, his burden is not heavy, he really is not asking for too much from us, I had been afraid all this while and this had hindered my faith. I had been scared that I would say rubbish or blaspheme and biko I wasn’t looking for Gods trouble, but the guy that spoke to us said see you have it inside you, it is absolutely impossible for you to say rubbish, don’t let the devil rob you of it. The leader of the meeting asked those who could pray in tongues to begin to pray in tongues and for we that couldn’t to come out for laying of hands, as I came out the things I said earlier, began to play in my head, gbemz you have this thing already, the gift has been made available for you, just open your mouth and speak by faith, you are a child of God, you have it it’s inside you, right there I was determined that before anyone came to lay hands on me I would begin to speak in tongues (that was my faith speaking), and just like that I opened my mouth and began to drop it like it’s hot lol. I remember my friend Busola just came to hold my hand and prayed in tongues with me to encourage me to keep speaking, I remember crying tears of joy, I was like is this what I had been fasting and praying for all this while that came just like that, I also did some laughing because I was so excited, and grateful to God. That is literally how I began speaking in tongues. My next post which would be on Wednesday would be me just explaining in my little way what speaking in tongues is. Do you pray in tongues, are you against it, do you feel it’s a complex, difficult thing, do you feel it’s unscriptural? I would love to hear from you. Hello Akpabio11, WELCOME to the blog, thank God for the ability to simplify things, although you did not share your views on speaking in tongues, I would love to hear from you. Thanks a lot for this. My faith just increased through this. 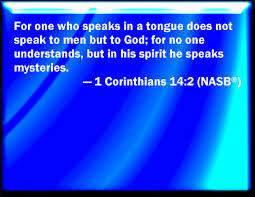 I really do pray that I speak in tongues...your story is almost same as mine except I haven't spoken in tongues. Thanks a lot for this... Our stories are the same except that I haven't spoken in tongues yet. But I've learnt a lot from this. MAKE SURE YOU DON'T MISS A THING! !